Reasons for concern: Palmer amaranth is probably the most common pigweed species found in this region. It is very aggressive and fast growing. Dense populations reduce native plant diversity, which is important to wildlife and pollinators. Control of large infestations can be very costly to landowners. It often causes allergies. Botanical description: Tall, erect, branching herbaceous plant. Leaves: Mostly smooth and hairless, green, egg-shaped to lance-shaped, elliptical or diamond-shaped with pointed tips, alternating on the stems. Prominent whitish veins are on the underside, which turn reddish at maturity. Often variegated with a horizontal band of silver-green. Long petioles connecting leaves to stems. Stem(s): Tall, commonly reaching heights of 6 to 8 feet, occasionally 10 feet or more. One thick central stem with many lateral branches. Usually reddish in color, especially at maturity. Flowers: Inconspicuous. Appear in the leaf axils (where leaves meet the stem) and also clustered on long, thin, often drooping spikes. Central flowering stalk is longer than others, ½ to 1 ½ feet tall. Male and female flowers on separate plants. Flowers are scratchy when dried out, especially female flowers. Blooms July through November. Seeds: Seeds are tiny and round, glossy, dark reddish brown to black. Can remain viable in the soil for long periods of time depending on the conditions. Generally fall near the parent plant. Roots: Upper portion pinkish to red deep. Thick taproot, often shallow. Palmer’s amaranth habit. Where it grows: Fields, roadsides, vacant lots, gardens, and disturbed or unmanaged sites. Elevation 3,000 to 8,000 feet. Weedy characteristics: Rapid seed germination, early seedling growth, and larger root volume make this plant difficult to control. Can complete its life cycle on the soil moisture available at germination. Can survive all but the most extreme drought. 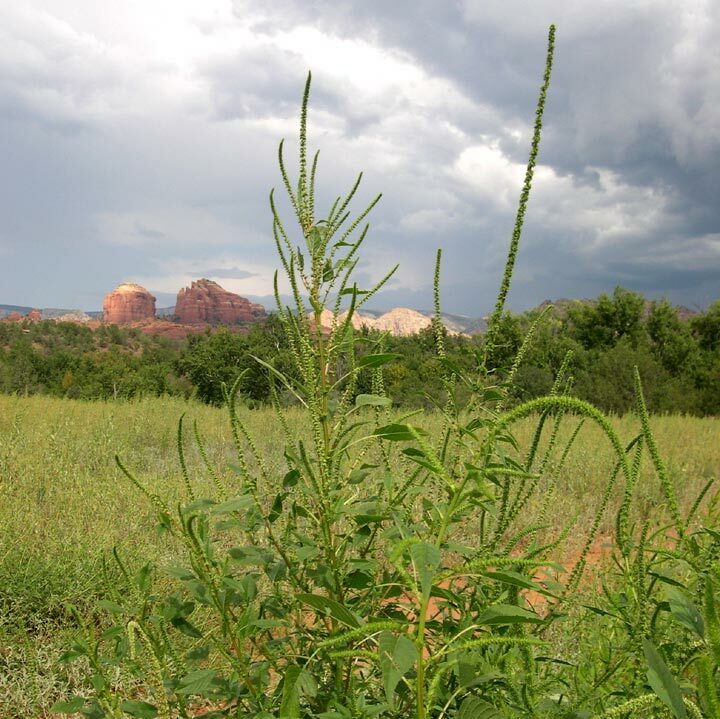 Look-alike native plants: There are several pigweed species (Amaranthus spp.) in Northern Arizona, some native and some non-native. 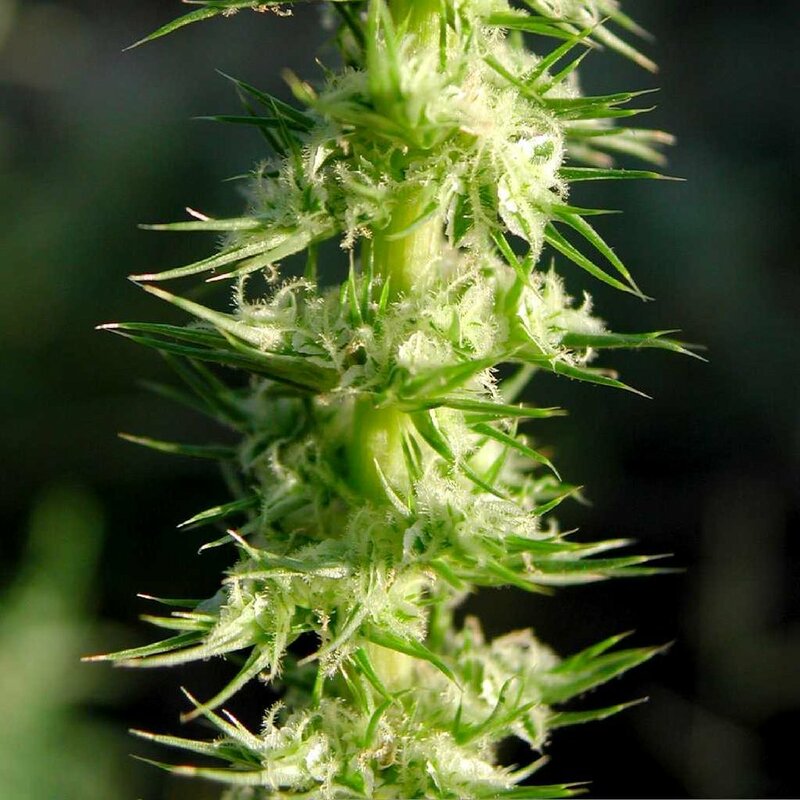 Palmer’s pigweed can be distinguished by its primarily leafless flower spike at the end of the stems. Control strategies: Manually remove before it flowers. Pull when young, before roots grow too deep. Try heavy mulch on young seedlings. Frequently monitor previous infestations for new growth. Plant desirable native species to outcompete invasives. 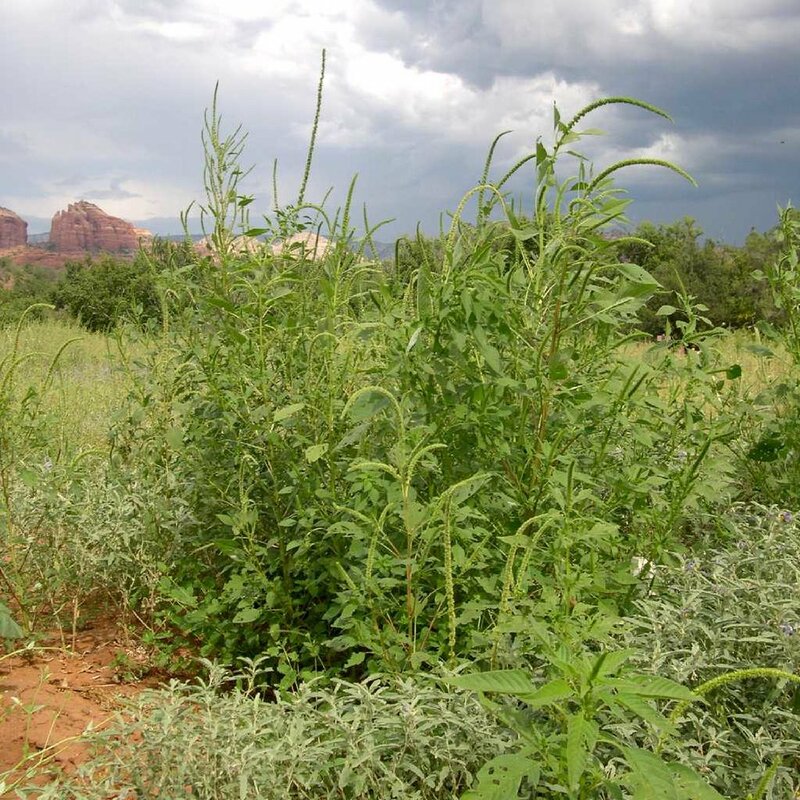 This species has become resistant to glyphosate in many parts of Arizona.